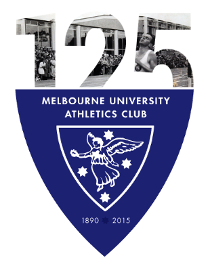 White Train stalwart Hamish Beaumont marked his 200th race for Melbourne University Athletics Club on Saturday 28th August in fine style as MUAC fielded seven teams at the Sandown Relays and came away with some pleasing results. 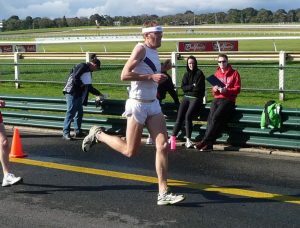 Twenty nine members of the White Train completed two laps of the Sandown Racecourse in round 7 of Athletics Victoria’s XCR ’10 season of road and cross country racing. The Men’s Division 2 team, fighting for promotion to the top division, was lead off by Nic Browne and Harry Smithers (19:09, fastest MUAC time of the day), setting the team up for a good result. Andrew Selby Smith and Zac Newman flew around the track and handed over to milestone man Hamish Beaumont in an strong position with two runners left. Beaumont’s somewhat ambitious first lap resulted in a slower second lap, and he passed the imaginary baton to David Paroissien with the team in second place, a position the team claimed on the line, one of their best results for the season. After the race, Beaumont said that he’d enjoyed almost all of his 200 races for MUAC and denied there was anything wrong with putting his results in a spreadsheet. The Women’s Division 1 team got off to a spectacular start with Sophie Barker leading the field through the first lap and handing over to Ilka Barr in a very close second place. 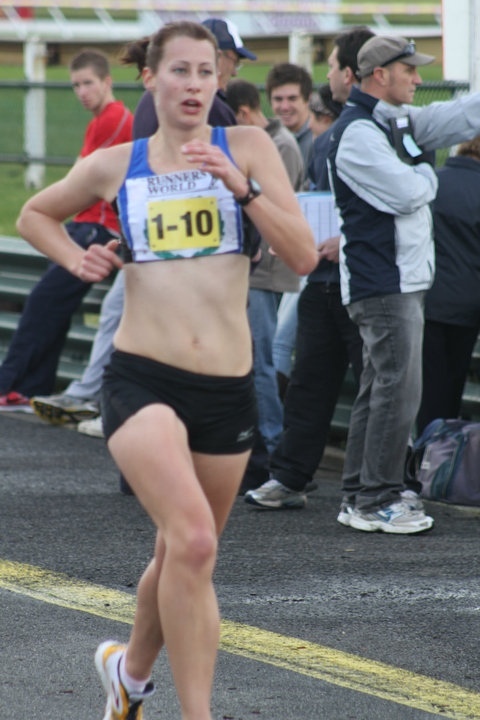 Strong runs followed from Barr, Julie McNamara and Vanessa Round. The team’s 7th place will see them consolidate their top 4 position on the premiership ladder. The Women’s Division 2 team, Camilla Humpries, Jas Neve, Sarah Castelino and Al Bryant Smith showed the depth of the White Train ran well to claim 5th in Division 2 in a time that put them ahead of some of the Division 1 teams. Matt Irons, Liam Morgan, Ben Franzi, Rich Dutton and Kris Lam made up the Men’s Division 3 team, running well to take 6th place in a highly competitive field. After the race Franzi noted the absence of Will Vigors and claimed a 1-0 lead in the Franzi-Vigors grudgematch. The Men’s Division 5 team, led by the inestimable Tony Brain, the White Train’s coach, and with David Sullivan, Liam Morgan and Chris Elmslie ran into 4th place. Matt Luo, Chris Xu, Hari Konchada and Paul Kennedy came together to form the first of the White Train’s Division 7 teams and claimed another 4th place for MUAC. Kennedy, a life member of MUAC, was prompted by the 200th race celebrations to consider how many races he had done. Teams of actuaries are entering the data now and the White Train eagerly awaits the result. Rounding out the day, Tim Thomas, Rachel Painter and Nic Browne teamed up to form the second Division 7 team. The White Train retired, post race, to the lawns of Sandown for a sumptuous afternoon tea. Many thanks to Winter Captain Sarah Emons for supporting the teams and baking the delicious cake, celebrating Hamish Beaumont’s 200 races. 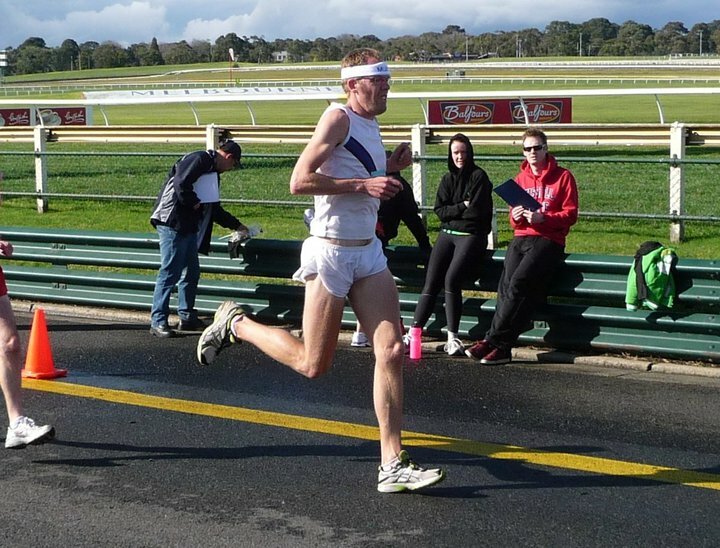 There is no break for the White Train with the Victorian Half Marathon Championships, round 8 of Athletics Victoria’s XCR ’10 season, on this Sunday, 5th September at Burnley.